Reports have emerged on the supposed schedule of the Steam Winter Sale 2016. As reported (and confirmed) by Eurogamer, the winter sale is slated to happen on December 22nd, and is going to run until January 2nd. According to the report, the dates were leaked on the gaming forum NeoGAF. Eurogamer also said that they have confirmed the dates separately from an undisclosed source. If the Steam Winter Sale 2016 does push through on December 22nd, the event will correspond to last year’s winter sale which also started on the 22nd of the month. Meanwhile, Steam has recently concluded its Autumn Sale which also featured discounts for thousands of video games. It was also when the nominations for this year’s Steam Awards opened. We can expect the same amount of games for the Winter Sale which also includes discounts both for indie and AAA games. 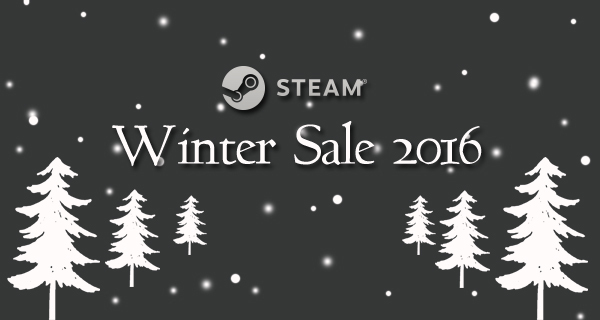 As Steam is yet to confirm the exact dates themselves, we’ll have to stay tuned as we wait for more concrete details on the Steam Winter Sale 2016.